Published October 14, 2015 at 3504 × 2336 in Photo Album. Roundabout Theatre Company presents the Menier Chocolate Factory’s Olivier Award-winning (Outstanding Musical) production of Stephen Sondheim’s musical, winner of the 1985 Pulitzer Prize for Drama. SUBWAY: Take the N,R,W to 49th Street or 1,9 to 50th Street, walk North to 54th Street and West to the theatre; Take the C,E to 50th Street, walk North to 54th Street and East to the theatre. 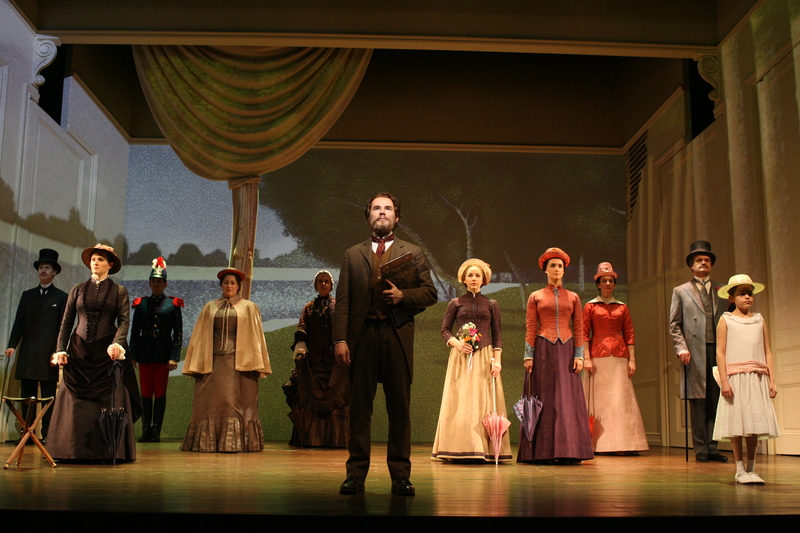 The Pulitzer Prize-winning musical chronicles the life of maverick French impressionist painter Georges Seurat during the creation of his now celebrated masterpiece, “A Sunday on La Grande Jatte-1884.” Act Two is set in the 1990s, when Seurat’s great-grandson encounters different artistic struggles.